Biocomposites are exciting, “new” materials which have experienced a renaissance in the 21st century in response to the societal concerns regarding global warming and environmental pollution, shifting the focus towards materials made from renewable, biodegradable and recyclable resources. As a consequence, research and development of these materials has increased in recent years, which is reflected in their applications in various industries, particularly the automotive and construction industries. These materials are estimated to experience a compound annual growth rate of 11.7% in the next five years, which is almost double that of conventional composite materials over the same time period. This book attempts to increase the knowledge base of these materials, particularly in terms of their properties, performance and applications. 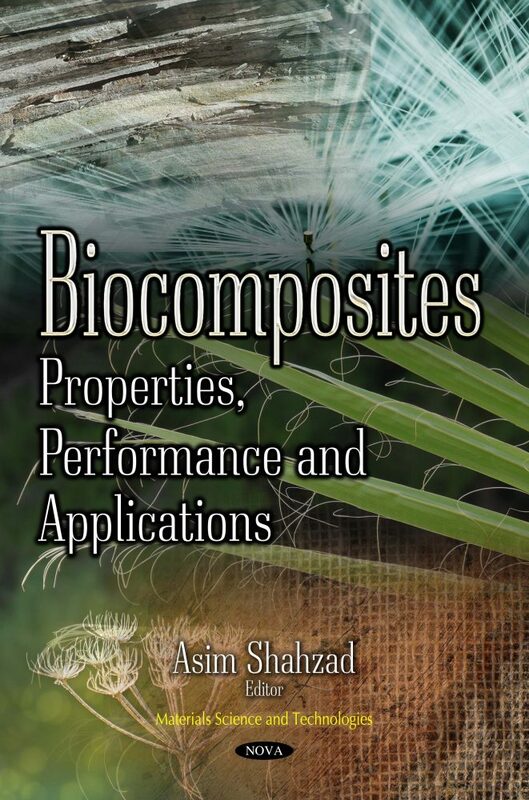 It contains precisely referenced chapters, complete with illustrations and tables that maximize the reader’s insight into the current state-of-the-art applications on biocomposites. The chapters have been written by the leading experts of this field with various backgrounds and expertise. Apart from review articles, the book also contains chapters on recent developments in this field. A distinguishing feature of this book is the emphasis on the uses of these materials in biomedical applications. This reference book is an invaluable source of guidance for researchers, academics and entrepreneurs working in the field of biocomposites. Audience: Academics teaching courses on biocomposites and the students of these courses, researchers working on research projects relating to biocomposites and entrepreneurs making products of biocomposites are the primary audience of this book. Biocomposites are being increasingly used in automotive, construction and sports industries, all of which can benefit from this book. This book will also be useful to many research organizations, particularly in Europe and North America, which have been established to explore further avenues in uses of these materials.